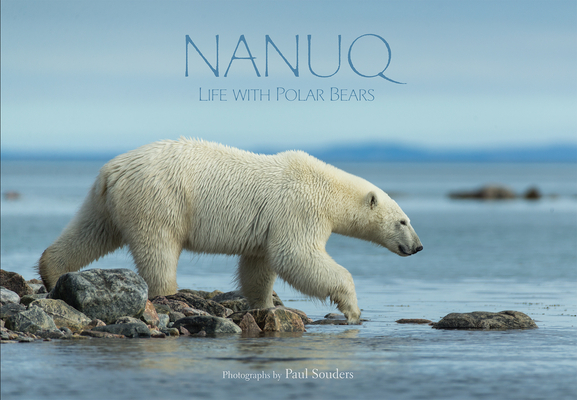 Nanuq: Life with Polar Bears features gorgeous wildlife photography of polar bears alongside firsthand accounts of experiences of living alongside the great sea bear. From close encounters with angry bears to the beauty of watching a polar bear climb an iceberg with its claws and traditional mythology surrounding life with polar bears, this book gives readers outside the Arctic a firsthand look at what life with polar bears is really like. Paul Souders is a professional photographer, travelling around the world and across all seven continents for more than thirty years. His images have appeared around the globe in a wide variety of publications, including National Geographic, Geo in France and Germany and Time and Life magazines, as well as hundreds of publishing and advertising projects. His recent photography work in the Arctic has drawn wide acclaim, including first-place awards at the BBC Wildlife Photographer of the Year competition in 2011 and 2013, the National Geographic Photo of the Year contest in 2013, and Grand Prize in the 2014 Big Picture Competition. Over the last three decades he has visited more than sixty-five countries and has been slapped by penguins, head-butted by walrus, terrorized by lions, and menaced by vertebrates large and small.